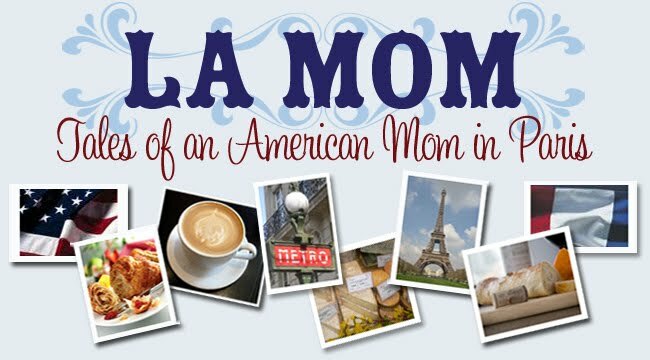 La Mom - an American mom in Paris: Oh, Paris! The French are notorious navel-gazers. They love anything about how outsiders (i.e. anyone outside of France) sees them. Moi-moi-moi...they eat it up! As a result, a lot of random stuff that goes under the radar in America gets picked up by the French media. Take this guy, for example. Dent May is from Oxford (Mississippi, not England) and rocks the ukulele. Now he's got a whole new Frog fan base thanks to a spot on Le Grand Journal on Canal Plus. I admit that I've totally fallen for his nerdy cosmopolitan charm. As the French say, "Il a quelque chose." Look me up when your tour hits Paris, Dent -- the Kir Royale is on me! I quite like that! Although I'd prefer to just listen than watch the video. I can imagine the French see some sort of charm in it with the banjo sound and all. Oops, I meant ukulele, not banjo! Click here for my super crafty giveaway! He's cute in a geeky strummin' that ukelele way. Wow. He has some tight pants, but there is something sweet about his nerdy look. Thanks for sharing. That is too funny. I lived in Paris for a semester during college, miss it terribly and enjoy reading your blog and perspective. YES! So much better than American Idol.... thanks for that! The guy who won the French equivalent of American Idol a couple of years ago, Julien Doré, made the initial cut by playing the ukulele in his audition. Maybe you're on to something. French + ukulele = amour. Love this guy in a Tiny Time kind of way! Send him down my way when he has finished his Parisian tour will you La Mom, xv. I actually spent 7 years in Oxford, Miss which is really a great university town where young college bands spring up all of the time. Dent has never been to Paris, but took French so I think he is just having fun with this song. I have seen this group perform and although it is a bit gimmicky, he has a great sound. You can hear some more of his music online. I live in Paris and don't know of any great music venues like we have in the South.